Facebook got a new powerful search tool ‘Graph Search’, which allows to obtain all sorts of information from the profiles of the users. Party photos, comments, Likes, overly aggressive status updates – probably everyone has throughout his Facebook life. But while spoken words are eventually forgotten, Facebook forgets nothing. All embarrassment of former activity will remain in the memory of Facebook, until they are deleted from the servers. “Facewash” a Facebook App offers now a purification for Facebook profiles, Using this app one can get rid of embarrassing content and unwanted content from their Facebook profile. 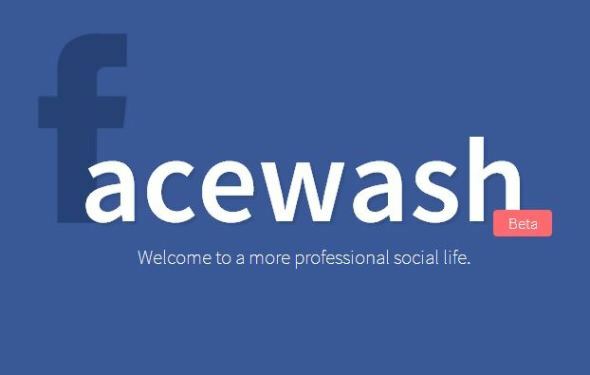 FaceWash finds and helps you remove profanities from your Facebook profile. After connecting your Facebook account, the site scans comments posted on your wall, photos you’re tagged in, photos you’ve posted, links you’ve liked, status updates and more for offensive content. Vistit the Facewash application using the below link and give the permission to the App to access your Facebook Account. After that, The app will analyse the all posts and links in your Facebook Time Line. You have the two options to clear the unwanted Facebook content, Using the Start Washing Button and Custom search. The Start Washing button will clear the entire unwanted content in your Facebook timeline automatically. You can use the another Custom search option to filter the the contents that you feel embarrassing in your FB Timeline. Use the search term and FaceWash app will generate the list of Timeline posts that has the unwanted and embarrassing content based on your custom query. You can analyse the posts in that list and you can delete the Timeline posts easily with one click. FaceWash is an essential Facebook Application to clear the spammy links and texts in the Time line. Try this app and get rid of the unwanted and embarrassing content.